This position oversees day to day operations of the PR and Corporate Communications function at Bond No.9. It also functions as key liaison for the external professional/media world. This position plays a key role in developing and maintaining the company’s relationships with external parties. Bond No.9, New York’s first ever luxury fragrance company dedicated to paying homage to the life, style and history of New York City is seeking an experienced PR Director to join their team. General Summary: This position oversees day to day operations of the PR and Corporate Communications function at Bond No.9. It also functions as key liaison for the external professional/media world. This position plays a key role in developing and maintaining the company’s relationships with external parties. • A key liaison with marketing and sales to ensure launches are communicated. • Oversees day to day Pitches to editors – maintains ongoing contact with the main beauty editors and associates at the major magazines pitches the editor’s story ideas and works with them on ongoing stories and regular columns. • Directs efforts of PR Associate and provide mentorship and strong positive leadership. • Directs pitch calendar of monthly stories: ensures that pitches and mailings go out on time. • Develops outreach strategy for television press, including media training and developing spokespeople. • Some travel required (approximately 2x/yr). 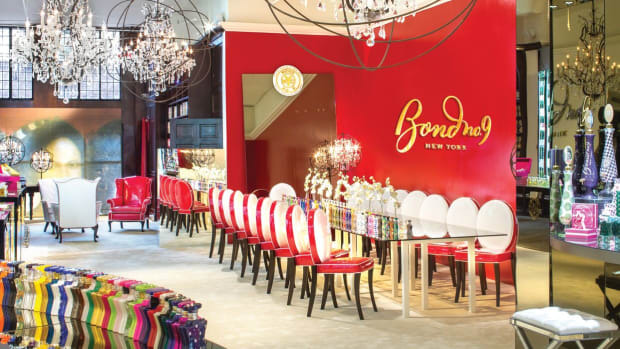 For immediate consideration, please fax a handwritten cover letter and resume to HR MANAGER at 212.677.5289 or email it to careers@bondno9.com. International Cosmetics & Perfumes Is Hiring A Public Relations & Communications Director In NYC! Company: International Cosmetics & Perfumes in New York, NY Reports to: CEO Supervises: PR Associate Manager General Summary: This position oversees day to day operations of the PR and Corporate Communications function at ICP. It also functions as key liaison for the external professional/media world. This position plays a key role in developing and maintaining the company’s relationships with external parties. Bond No. 9 is New York's first ever luxury fragrance company dedicated to paying homage to the life, style and history of New York City. Bond No. 9, New York's first ever luxury fragrance company dedicated to paying homage to the life, style and history of New York City is looking for an enthusiastic, eager, Product Development Coordinator to join the growing Bond No. 9 team.